DEIS Community Conversations Learn more about the DEIS at i69ohiorivercrossing.com/DEIS. DEIS Public Hearings The I-69 ORX Project Team hosted two public hearings in early January 2019. Community members and leaders were invited to have their comments made part of official record. Preferred Alternatives: I-69 ORX The Project Team has identified two alternatives for the I-69 Ohio River Crossing, Central Alternative 1A and Central Alternative 1B. Tolling options are the only differences between the two. Financial Feasibility: I-69 ORX The ORX Project Team has been working diligent to identify the best financial options for completing the connection and building a bridge between Henderson, KY and Evansville, IN. DEIS Overview: I-69 ORX The DEIS, or Draft Environmental Impact Statement was released in December 2019. Watch to learn more about the DEIS, the preferred alternatives and more. Public Hearings: I-69 ORX Public hearings took place in early January 2019. Project Team leaders heard from community members who were given the chance to have their opinions be made part of the official record. Central Alternatives 1A and 1B: Preferred Route for I-69 ORX The Central Alternative is the preferred route for the proposed I-69 crossing. 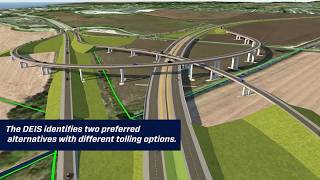 The DEIS identifies two preferred alternatives with different tolling options. Central Alternative 1A would toll both the I-69 bridge and the remaining US 41 bridge. Central Alternative 1B would toll only the I-69 bridge. Field Work The work of the I-69 ORX Project Team has taken us out of the office and into the field. Check out some of the work that’s been underway, from mussels to wetlands to bats. Mussel Study Just like bat studies and wetland surveys, check out project team members on the Ohio River studying mussels. Environmental studies are integral parts of the I-69 Ohio River Crossing. Wetland Studies Wetland studies and field work are part of the I-69 project. 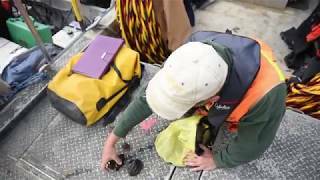 Watch Biologist and Wetland Scientist Luke Eggering for more. Bat Surveys Why does our I-69 ORX Project Team need to know where bats are hanging out? 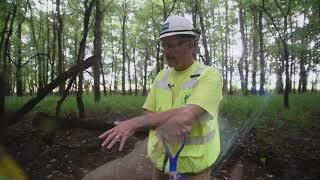 Check out this video to learn more from Tony Evans, Stantec Wildlife Biologist. 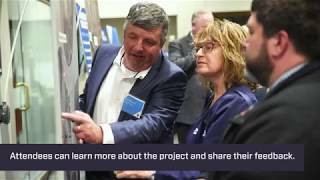 February 2018 Open House The communities of Henderson, KY and Evansville, IN hosted open houses where the I-69 ORX Project Team presented the preliminary alternatives for the I-69 corridor. 2017 Year-in-Review The I-69 ORX Project Team has been hard at work this year in an effort to determine the best solution for an I-69 Ohio River Crossing. Here’s a 2017 project recap. 2017 Year-in-Review A lot has happened on the I-69 ORX project this past year. From determining a short list of corridors to hosting a number of open houses, the I-69 ORX Project Team has been hard at work developing the best solution for the Ohio River Crossing. Take a look at some of the progress made in 2017. 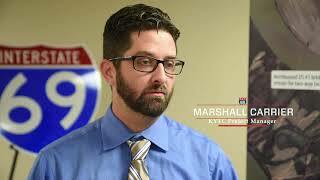 Marshall Carrier, KYTC Project Manager Making the Connection is a video series designed to introduce some of the experienced professionals behind the I-69 Ohio River Crossing project as well as some of the community members who will benefit. 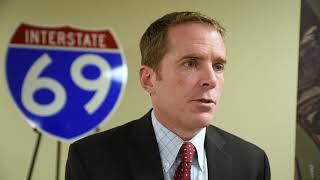 Marshall Carrier, KYTC Project Manager Making the Connection is a video series designed to introduce some of the experienced professionals behind the I-69 Ohio River Crossing project, as well as some of the community members who will benefit. Janelle Lemon, INDOT Project Manager Making the Connection is a video series designed to introduce some of the experienced professionals behind the I-69 Ohio River Crossing project as well as some of the community members who will benefit. 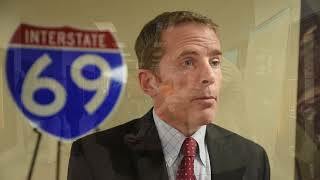 Steve Nicaise, I-69 ORX Project Manager Making the Connection is a video series designed to introduce some of the experienced professionals behind the I-69 Ohio River Crossing project as well as some of the community members who will benefit. 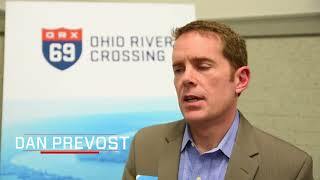 Dan Prevost, I-69 ORX Environmental Lead Making the Connection is a video series designed to introduce some of the experienced professionals behind the I-69 Ohio River Crossing project as well as some of the community members who will benefit. Amber Schaudt, I-69 ORX Public Outreach Making the Connection is a video series designed to introduce some of the experienced professionals behind the I-69 Ohio River Crossing project as well as some of the community members who will benefit. 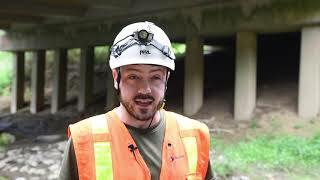 Tony Hunley, Stantec Making the Connection is a video series designed to introduce some of the experienced professionals behind the I-69 Ohio River Crossing project as well as some of the community members who will benefit. 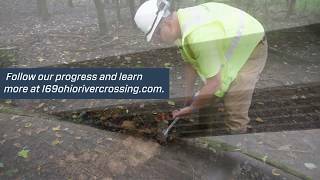 David Orzechowski, US Coast Guard Making the Connection is a video series designed to introduce some of the experienced professionals behind the I-69 Ohio River Crossing project as well as some of the community members who will benefit. August 2017 I-69 Henderson Open House Your Input Matters. The I-69 Ohio River Crossing hosted an open house in Henderson in early August 2017 to discuss the shortened list of corridor options for the project. The open house included a presentation about project updates, as well as the opportunity for attendees to speak one-on-one with I-69 project leaders. 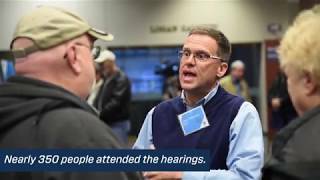 April 2017 I-69 Evansville Open House Your Input Matters. The I-69 Ohio River Crossing project hosted an open house in Evansville in late April 2017, providing an overview of the project for community members. Discussions included broad project alternatives and details about the project timeline.